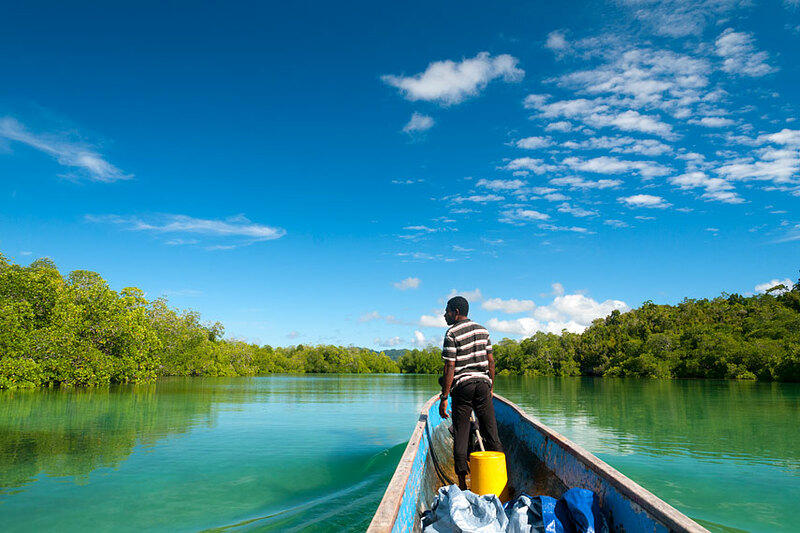 Seventythree is working with Starling Resources, and other partners, as part of the project to ensure the political, social and economic sustainability of the Marine Protected Areas (MPAs) in the Bird’s Head Seascape (BHS) of West Papua. The project is funded by the Walton Family Foundation. A recurring theme in our meetings with the management and members of the Raja Ampat Local Homestay Business Enterprise Association has been the concern felt by the Association members and their communities at the rapidly increasing amounts of rubbish being found in local waters and on island beaches. While doing all they could to remove trash from their own environs, association members sought a means by which they could bring the extent of the problem to the attention of responsible local authorities. Another issue raised in the discussions we had in search of a reporting solution was local communities’ worry that the authorities charged with protection of the MPAs couldn’t be everywhere at once, with the consequence that illegal and unsustainable fishing was still able to occur in more remote areas. The outcome of these discussions has been the development of a crowdsourcing reporting tool that allows the reporting of all sightings, events and incidents relating to the Raja Ampat environment. Deployed as an adjunct to the hugely successful Homestay Association website Stay Raja Ampat, the Raja Ampat Environment Watch app facilitates secure, confidential reporting of any incident on land or sea. Geo-tagged and detailed reports can be uploaded via the webapp itself and iOS and Android mobile versions of the app can be downloaded to provide for offline capture and later uploading of reports. The deployment of Raja Ampat Environment Watch makes it possible for not only local communities, but also every visitor to the archipelago to assist in the monitoring of the MPAs and Raja Ampat’s equally important and diverse terrestrial ecosystems – it’s a huge step forward in helping to protect and conserve Raja Ampat’s unique riches. Any interested individual or organisation can use the app to both make and receive reports and all are welcome to link to or republish news of this new Homestay Association initiative.